Wine writers very rarely write about horrible wines. Their columns are full of exciting recommendations for readers to buy. There are two reasons for this. Firstly wine writers feel it is important to support wine as an industry. They think it is important that more people start drinking wine and then perhaps they will develop an interest and maybe even start reading wine columns. In this way they function like a provincial newspaper anxious not to be too negative about, say, the restaurant scene in Bolton in case readers decide they don’t want to eat out anymore let alone read a column about it. The second reason is that most wines these days are fine. Even the worst wine at Tesco’s will be merely dull. It’s easy to write about bad but it’s very hard to make a dull wine interesting. Therefore, I was surprised this weekend when I tried a wine that made me gag. 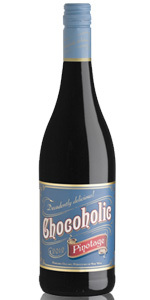 It was the Chocoholic Pinotage 2013. Now of course the name does make it sound nasty and it is made from Pinotage – the grape whose signature flavours are acetone and burnt coffee – but recently I’d had a bit of a Pinotage epiphany so was eager to try it. According to the bumf I was sent it is made from partially dried grapes like an Amarone. I’m a sucker for anything made from dried or partially dried grapes so I actually opened the bottle with something bordering on excitement. I took a sniff, it smelt of instant coffee and chocolate (note there is no actual chocolate in this wine), not a nice smell but a thing of delicate beauty compared with the taste. It’s quite hard to describe the flavour because I had such a visceral reaction to it, there was more coffee and chocolate and then POW!, it was as if someone had grabbed my throat and was trying to throttle me. I took another sip, and BANG!, a wall of acidity and raw tannin made me grimace involuntarily. I stopped sipping at this point. When that had gone, there’s a cloying finish like cheap coffee ice cream. Yes this wine is actually sweet. I would say avoid at all costs but it’s so unusually bad, that’s it’s worth trying. It’s probably not, however, worth spending the £11 it costs just to experience its awfulness. It’s available at Harvey Nichols who normally stock such good wines. Perhaps they just saw the label and thought it looked nice. It is a pretty label. The producers say that it goes well with chocolate. You’d be better off with a budget port or just eating the chocolate on its own. This entry was posted in Wine articles and tagged Amarone, Bolton, Food, Grape, Pinot noir, Pinotage, Shopping, South Africa, Tesco, Wine. Bookmark the permalink. Yes the name should have put me off immediately. I must learn to trust my instincts. Being sent this wine felt more like punishment than privilege. It’s too bad because last year Harvey Nichols sent out such beautiful bottles of Margaux that were reasonably priced and so delicious. And now after this write up, they’ll never send me anything again. Sorry! I also had my worst wine of the year this week. It was also a Pinotage (Lammershoek LAM, to be precise). It was faulty, though. At least, I ruddy well hope it was faulty, because if it was *supposed* to taste like that then, well, there’s no hope for the world. None whatsoever. And it also had an interesting label – sufficiently interesting for the guy on the till to remark, as I handed over my readies, that he hoped it tasted nicer than it looked. With hindsight, this was probably a bad sign. Chocolate has never been one of the ‘flavors’ that I have ever associated with Pinotage. The name alone would have had me gagging and reaching for something different. As a South African I apologize. My reasons for not writing bad or poor reviews is fairly simple, personal taste. Having worked in wine retail for 18 years I learnt a long time ago that because something didn’t fit my palate it wasn’t going to be the same for someone else. I’ve actually recommended wines to people that I thought were, personally, bloody awful but happened to fit that individuals taste. So when it comes to writing reviews I tend to err on the side of caution which is to give credence to wines I believe note worthy and leave the negative thoughts to whomever and whatever store I may be in. I am doing a public tasting of this wine in a specialist wine and food store in Petone, Wellington, New Zealand on 31 May. I have not tasted the wine yet but will this evening. Will try not to be adversly affected by what “Henry” said and will see what the tasters say on Saturday. I bought a few bottles before Christmas. Both I and the family members I was host to over the festive period found it very drinkable. Just googled to buy some more in fact and saw this killer review pop up. I will stick with my own assessment I think! My name is actually Henry so you don’t need to put it in inverted commas. Let me know how you get on. I bet you won’t like it. I really like this wine, it’s obviously a lot cheaper as i’m in South Africa. Maybe you got a bad bottle. Have tasted worse, but never guess it was a pinotage, pinotage is the best red south african grape variety, and much better than all their lousy cab. sauvignon crap, but just like Chenin blanc can have many expressions and some really fantastic others ordinary this also can. Anyway you are warned from the label, i also avoid french wines with english names, copying american labels, for a good reason. would give it 4 out of 10, with 5 average. Really surprised by this review- I loved it. I thought the name was naff, but loved many glasses of it. However, I am possibly not the best judge, since I love big powerful reds and shy away from subtlety in a wine. I tried this wine last night and I thought it was very nice. I’m not a fan of pinotag but I really enjoyed his one. Darling celars also have an amazing earthbound organic chenin blanc. I found this wine to be very nice, there was 5 of us sharing the bottle. Everyone tought it was really nice. Henry are you sure you didn’t get a dodgey bottle? Should all wine taste the same? this is a really plummy, chocolatey and jammy wine. 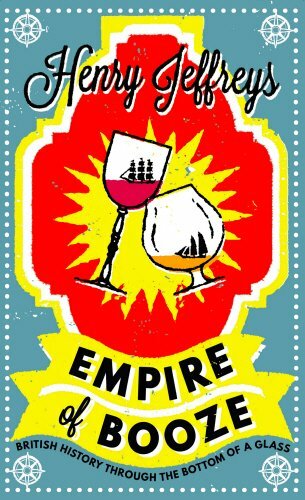 I am a big fan of Spice route pinotage, long live Pinotage. A good alternative to all the so-called wine experts trendy grapes. My wife & I adore this wine and buy it frequently. Highly recommend. Perhaps the author got a bad bottle? I love big reds though so that might have something to do with it. Then again we have shared it with others and never got a bad reaction. It’s one of my favourite wines.